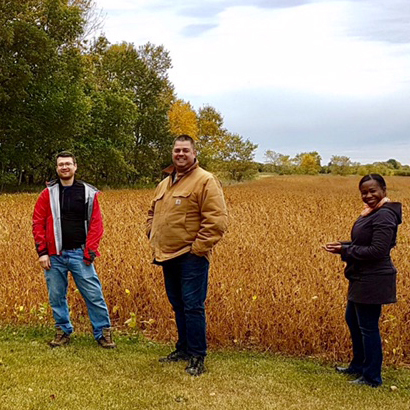 Rural Manitoba offers many unique opportunities for family medicine trainees. On Sept. 21, residents at the Parkland training site traveled to three farms near Dauphin, Man. to learn firsthand of the dangers and joys of farm life. The day began at a grain farm situated north of Dauphin. The group met with grain farmers to discuss the financial aspect of farming, weather conditions, equipment and harvest practices. Residents watched as the farmers explained the potential hazards of an auger, swather, grain truck, combine, and anhydrous ammonia and what injuries physicians may see in the local emergency departments. 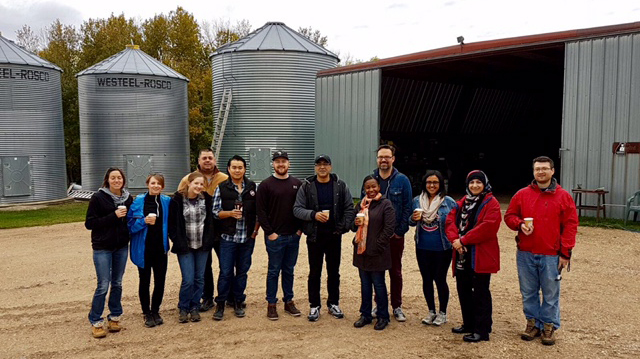 The group ventured further north to a combined grain/dairy farm. Touring the diary, participants learned firsthand about occupational hazards that can occur while working with cattle. They were also introduced to animal health issues including feeding practices for newborns and average milk production. The day ended with a tour of a bee farm. A tour of the honey harvesting facility, honey extracting plant and the honey barrel warehouse allowed for an interesting look into what a day entails for a bee farmer. The group also learned about new and upcoming concerns bee farmers are facing with increasing rates of deer ticks in our area. 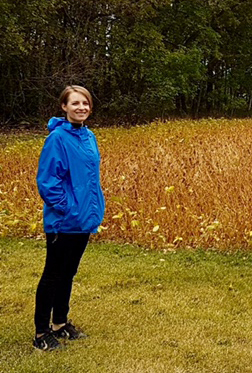 “As medical trainees, we are often faced with the task of managing farming/workplace injuries, especially in rural Manitoba,” said Jordan Cram, chief resident. “This experience allowed us to see firsthand how some of these injuries can occur, which can make a difference in how we treat these patients.